Here are some photos of Chandra's recent projects. Chandra built a chicken coop for a neighbor's backyard chickens. Chandra designed and built this custom shelf/storage system in a kitchen, increasing the functional space threefold. Hiding the cords, cables, and dishwasher drain not only increased the visual appeal of the space but also decreased the volume of the drain significantly. Fence pictures that show a work progress. 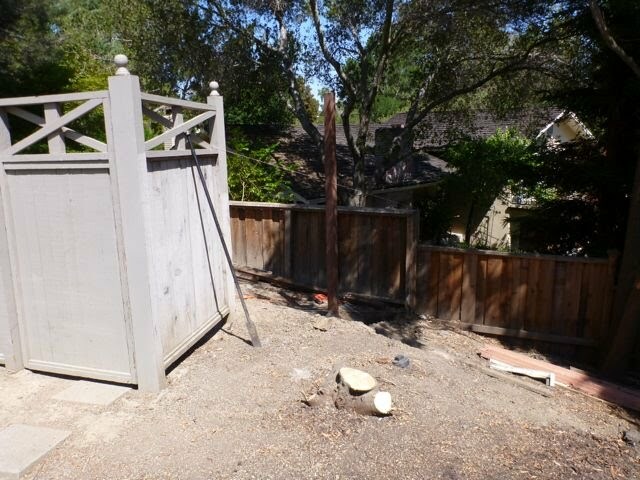 Here a client removed vegetation and exposed an old fence with rotted post. The old fence did not match the existing fence. See the stumps that were hiding the fence? 1) Old fence has been removed and new post installed. I do not think that images of me doing demo work and a trip to the dump were riveting. 3) Fence building almost done- the posts have to be cut down and the tops added. Remember how the existing fence paint on left looks old! See all the stumps that kept the old fence from public view! And remember the existing fence paint was old? I sanded and repainted the existing fence so everything looks brand new. 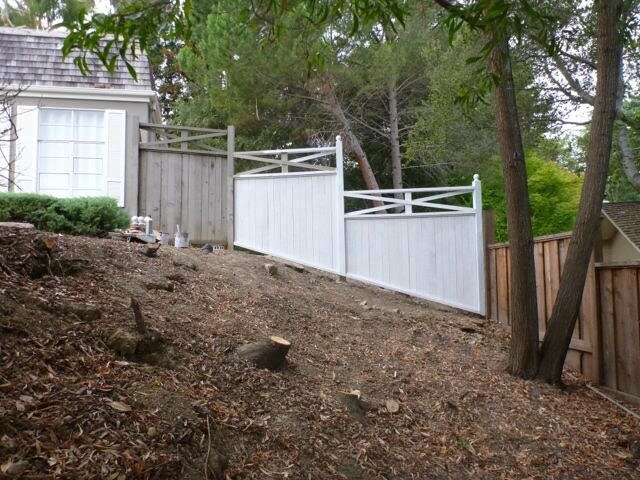 A fence that keeps the dog and kids from wandering and looks great! 2) Basic fence begins to take shape. 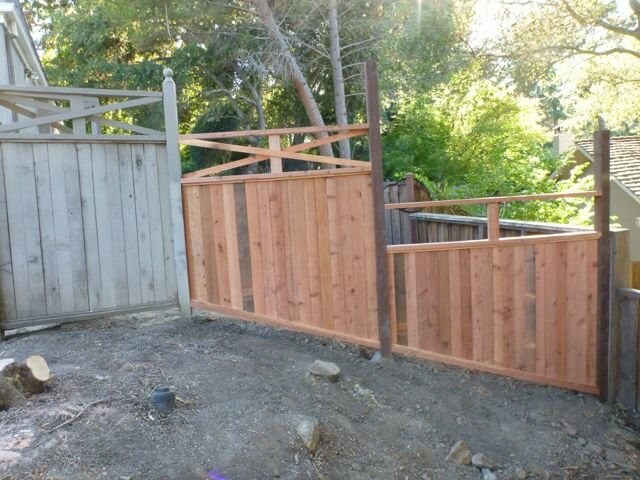 To match the existing fence board width I had to custom cut the fencing to size. 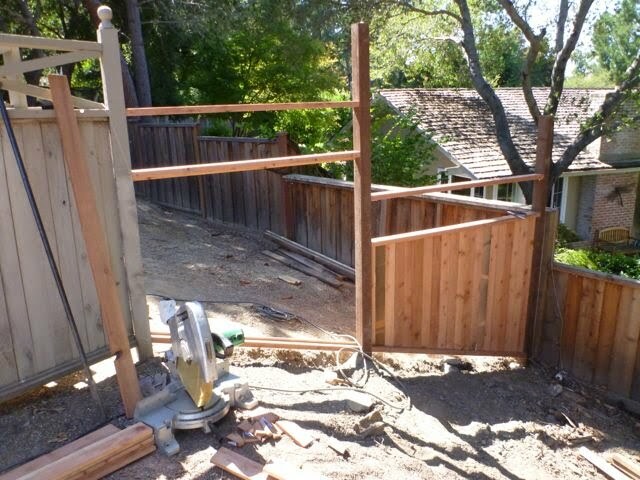 4) I have installed all the parts of the fence. 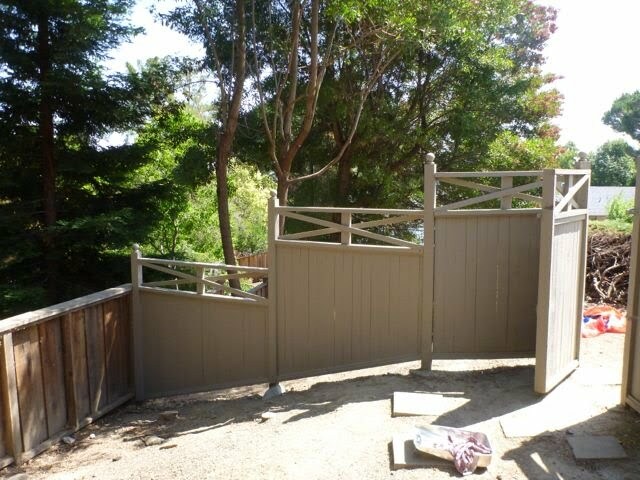 I have painted two coats of primer to fence. And I have added a little finish paint to left panel.